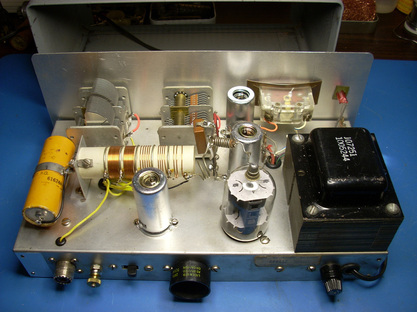 This is a Knight Kit T-60 Novice transmitter from the 1960's. It is a CW and AM transmitter and uses a 6DQ6A as the output tube. 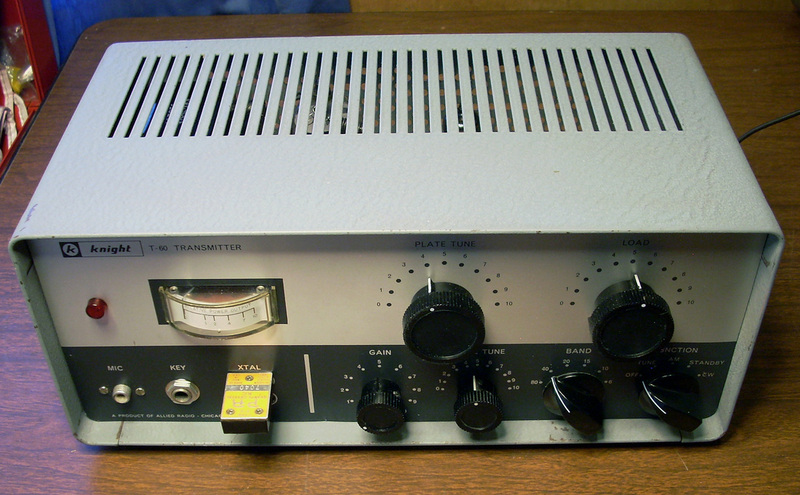 Knight Kit advertised this transmitter with their R-55(A) receiver as a Novice-class station. The front panel as found. The two chicken head knobs are not original. 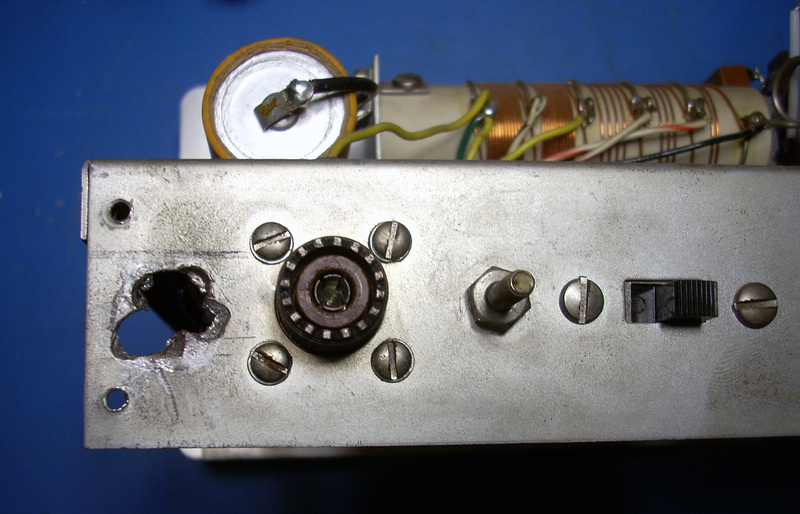 The original knobs are cheap plastic and tightening the set screw on the control shaft can cause them to crack . The Band switch knob is cracked and spins on the switch shaft - the fix is to fill the back cavities of the knob with epoxy. Unfortunately, a former owner had already tossed two of the original knobs. 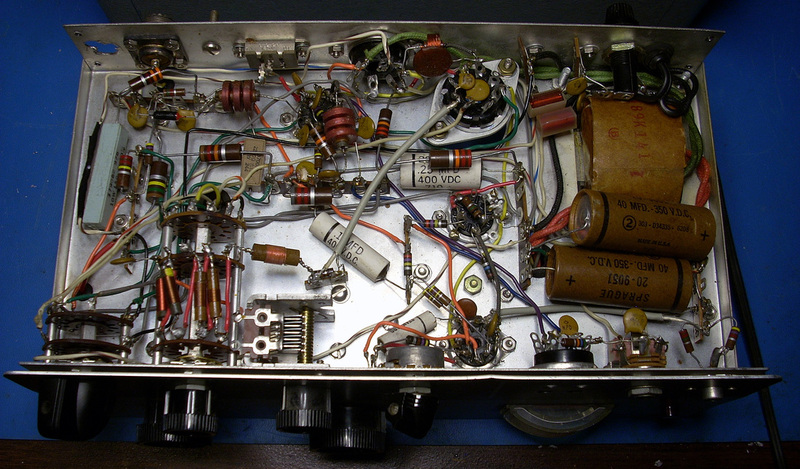 A look at the top of the xmitter before cleaning and repairs. Not in too bad a shape. The tube shields are missing and one tube has been substituted with a different tube. Under the chassis is relatively clean. 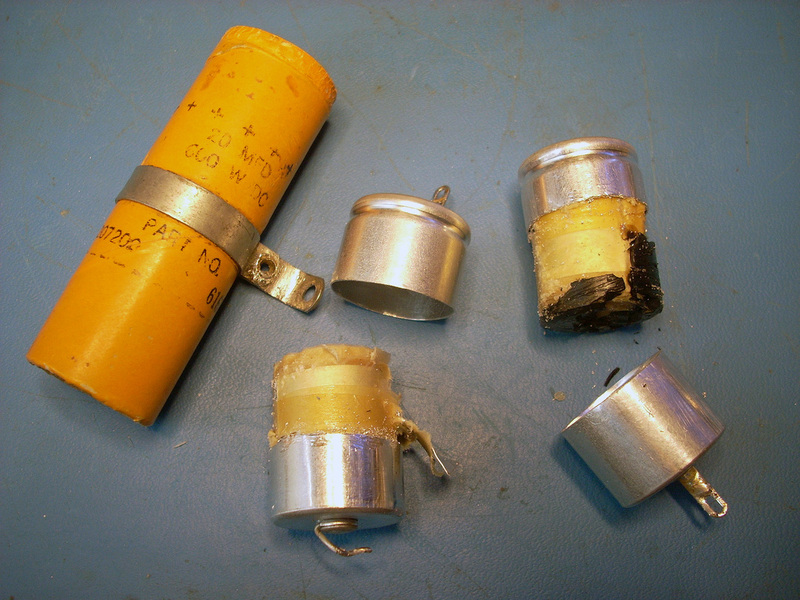 The old electrolytic capacitors will be replaced but the other capacitors don't appear to be paper. They'll be tested and left if good. In the left pic someone made a hole in the back of the chassis and did a really sloppy job of it. In the middle are some bad solder joints on the switch and in the third pic there is a gray wire not soldered to the terminal strip. 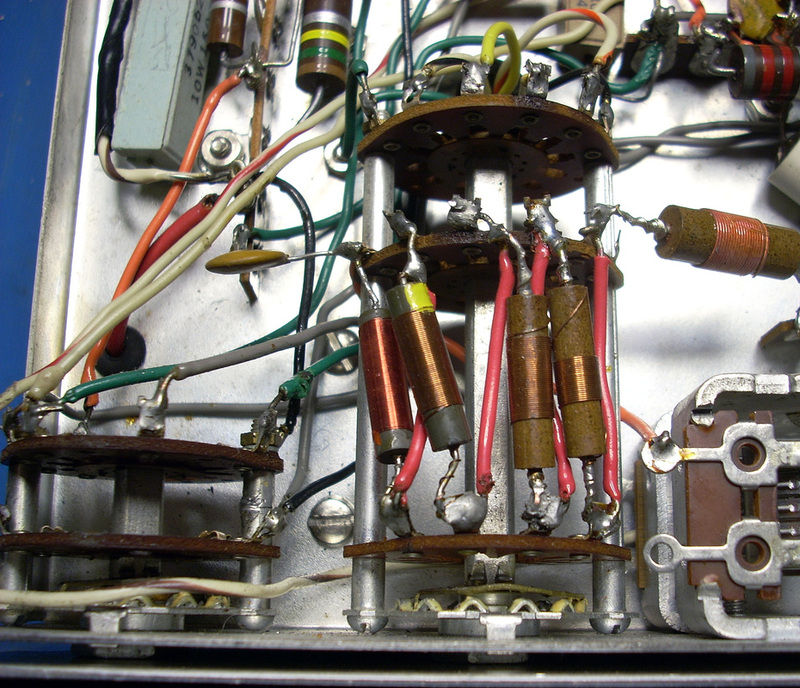 To keep the top looking as original as possible the old 20uf electrolytic capacitor was disassembled, the ends cut off, and then soldered onto the replacement capacitors leads. 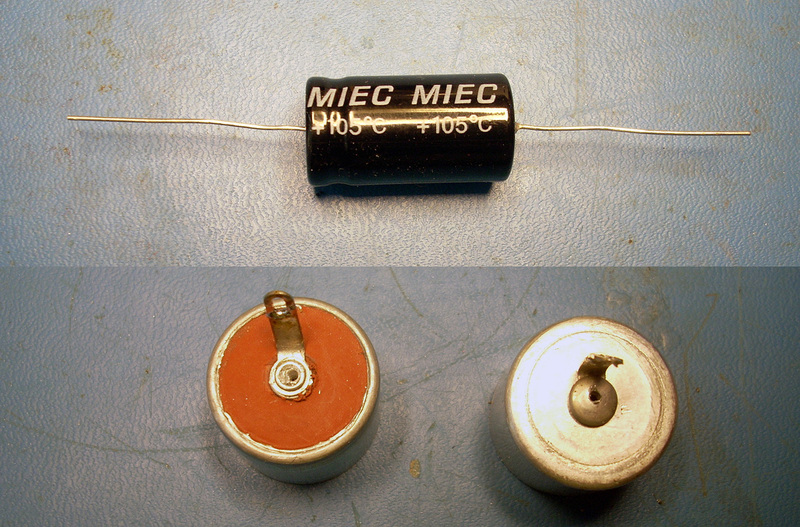 The new capacitor was then reinserted into the old shell. Under the chassis after repairs. 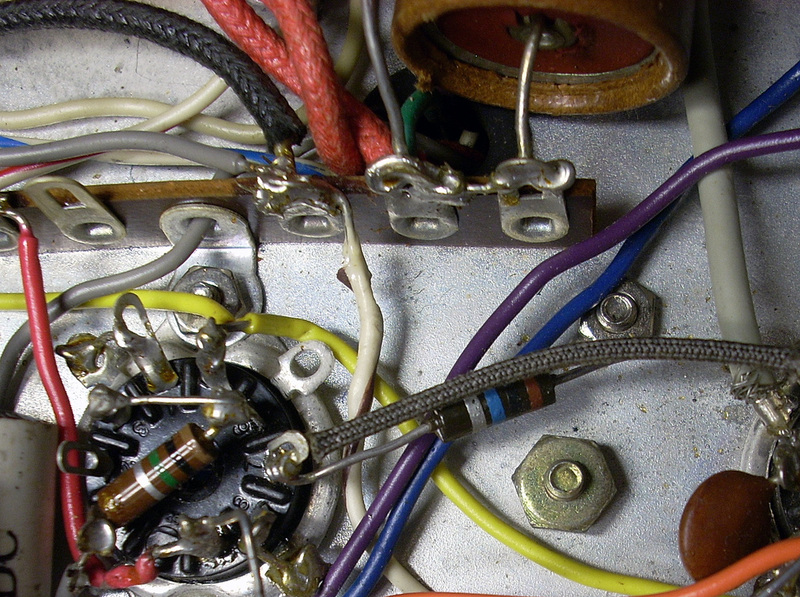 Wires with melted insulation on the ends were trimmed back where possible and insulating sleeves were slipped over others. Bad solder joints were cleaned and resoldered. There was an errata sheet from Knight with some changes that had never been applied to this transmitter so these were done as well. The holes in the chassis back was epoxied shut. A lot of the screws had the lock washers under the screw head instead of the nut so these were all changed. 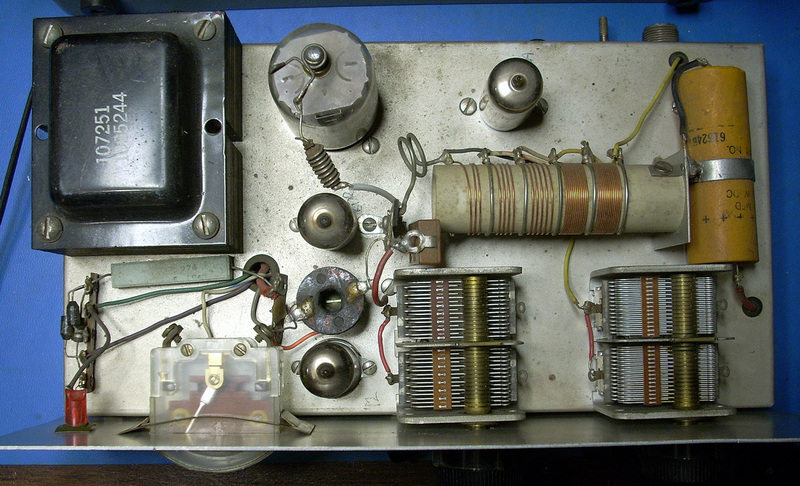 The transmitter after cleaning and repairs. Tubes were checked and the one incorrect tube replaced. 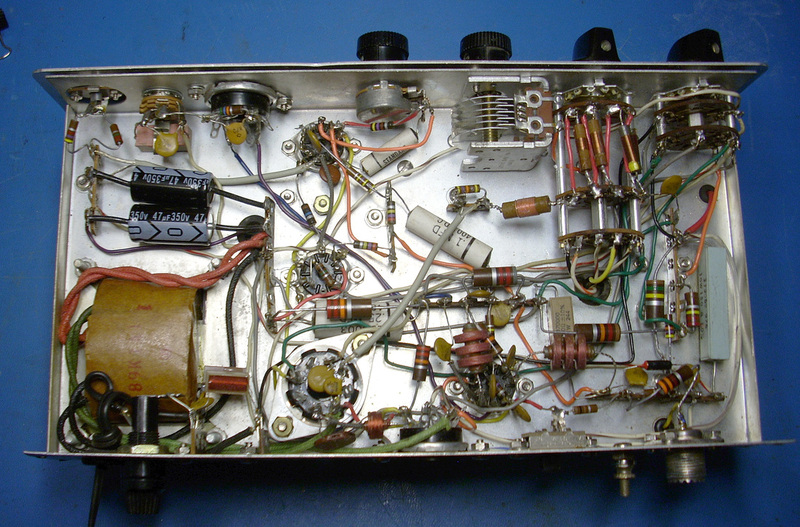 The solder joints and melted insulation on the top wiring were also repaired. New tube shields have been installed and the hole in the back of the chassis repaired. Reassembled and ready to go on the air. 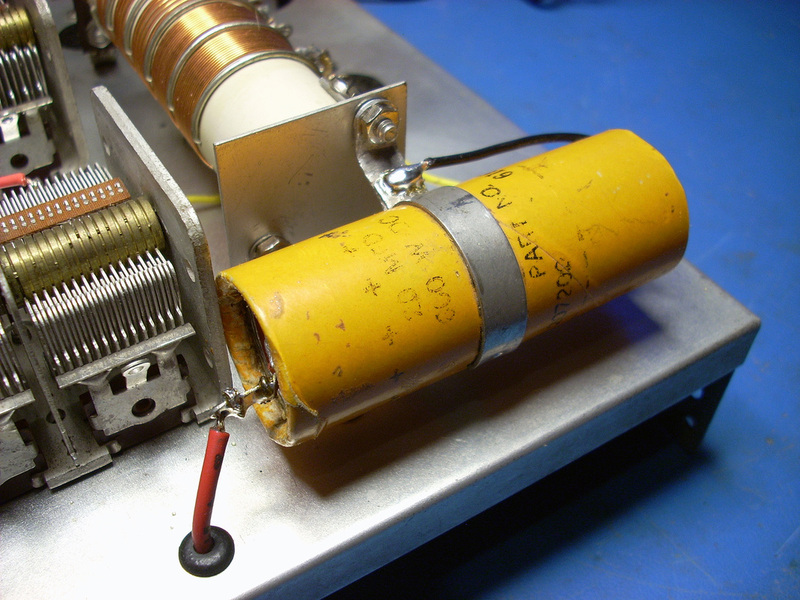 A quick test into a dummy load showed about 45 watts forward power.